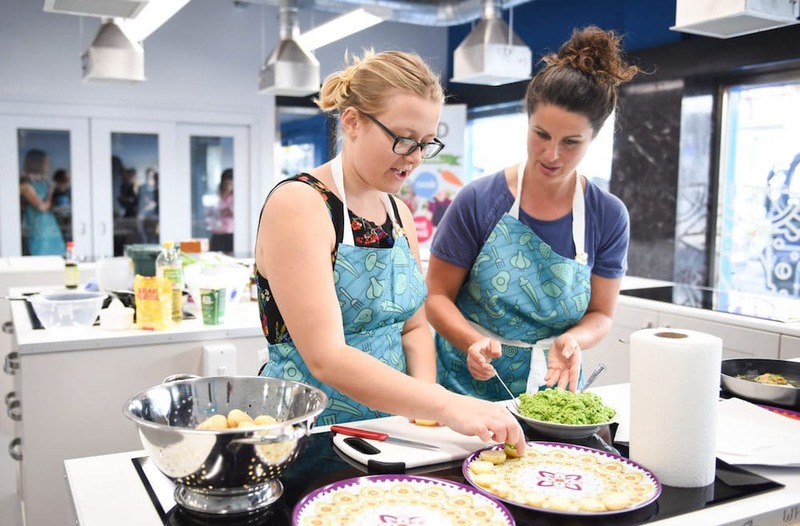 Brighton & Hove Community Kitchen is a cookery school in the heart of the city where everybody can cook, learn, share and enjoy delicious food in a friendly, state-of-the-art teaching kitchen. 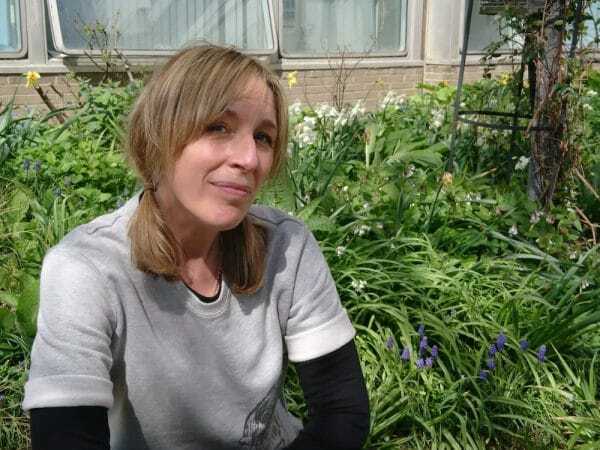 Run by Brighton & Hove Food Partnership as a social enterprise, this is a teaching kitchen with a difference. 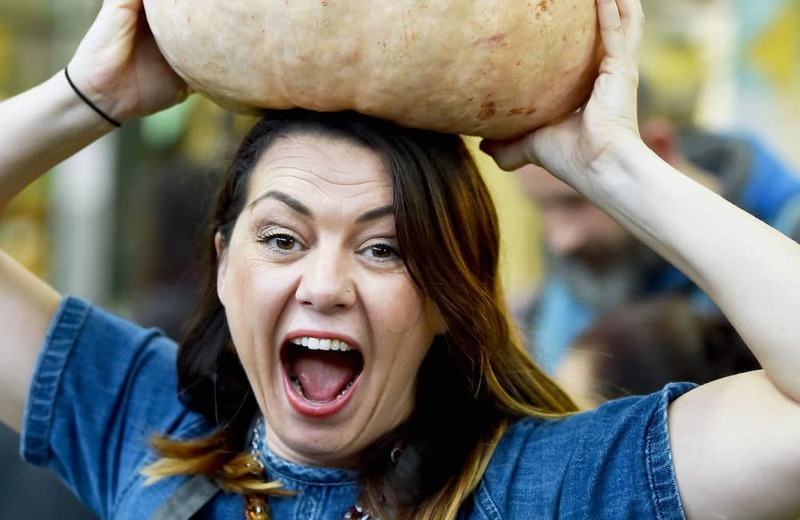 It hosts amazing Masterclasses led by some of the county’s best chefs, and runs workshops on cooking skills, world cuisines and more from experienced and enthusiastic cookery teachers. 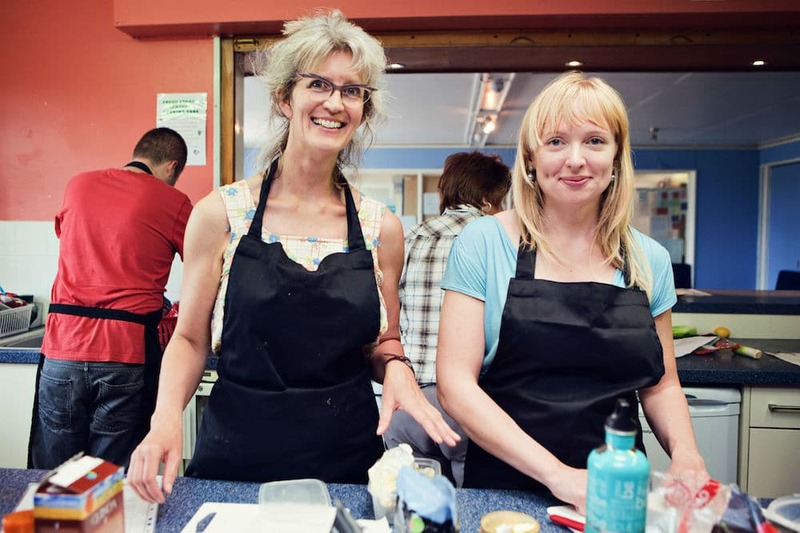 Any profits from the cooking classes support subsidised cookery activities for people and groups less able to afford them. 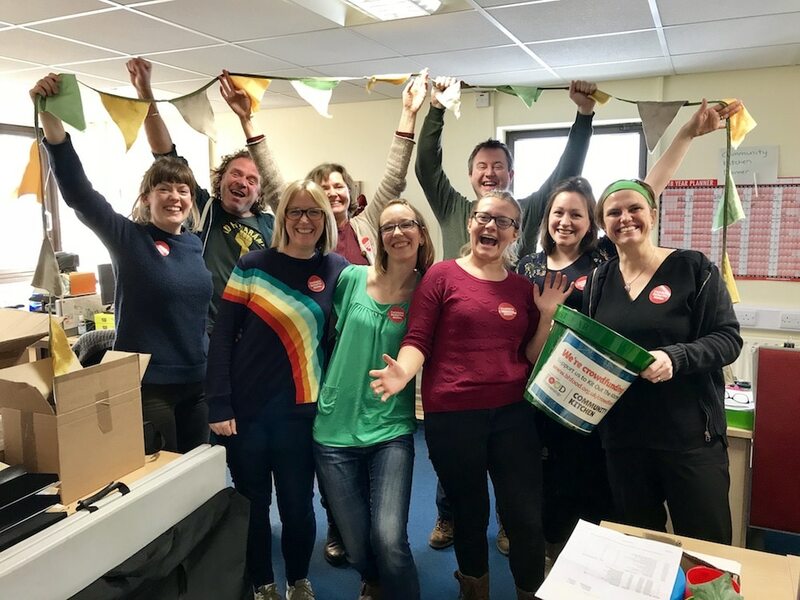 This is in line with the Food Partnership’s central ethos, which is that everybody has a right to good food – and in particular that everybody should be able to learn how to prepare healthy, nutritious meals regardless of their skills, confidence or finances. Check out the Kitchen’s calendar of events to see what you fancy. 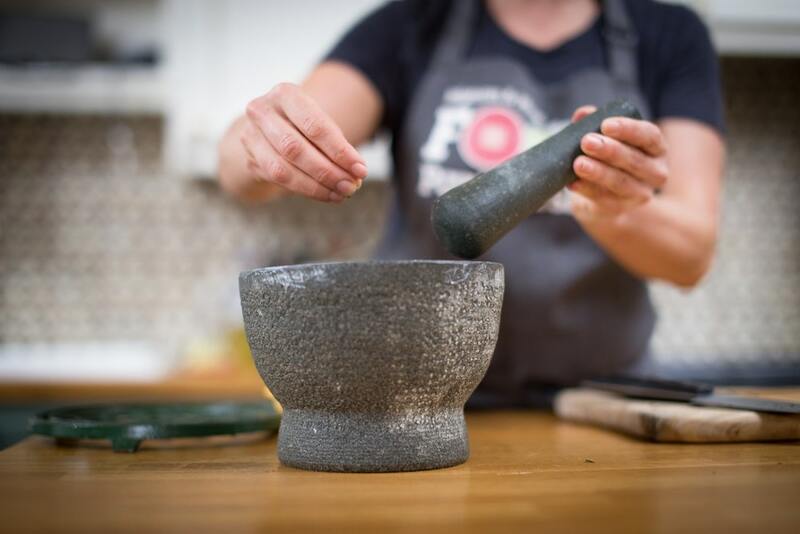 There are workshops targeted at all levels of skills and food knowledge, so absolute beginners will feel comfortable to develop confidence and abilities while more advanced home-cooks will find plenty of classes to inform and inspire. All classes finish with participants having a lovely social time enjoying food together around the Kitchen’s large communal dining table. 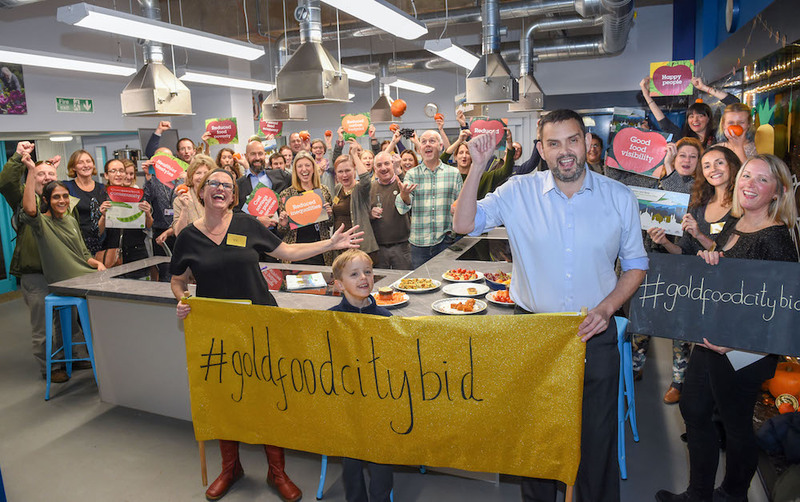 The Kitchen is also a venue for private hire, and the Food Partnership can help you arrange a host of activities, from team building events to special celebrations to product launches. The Community Kitchen came into being after an amazing crowdfunding effort from the people of Brighton and Hove in February 2018. 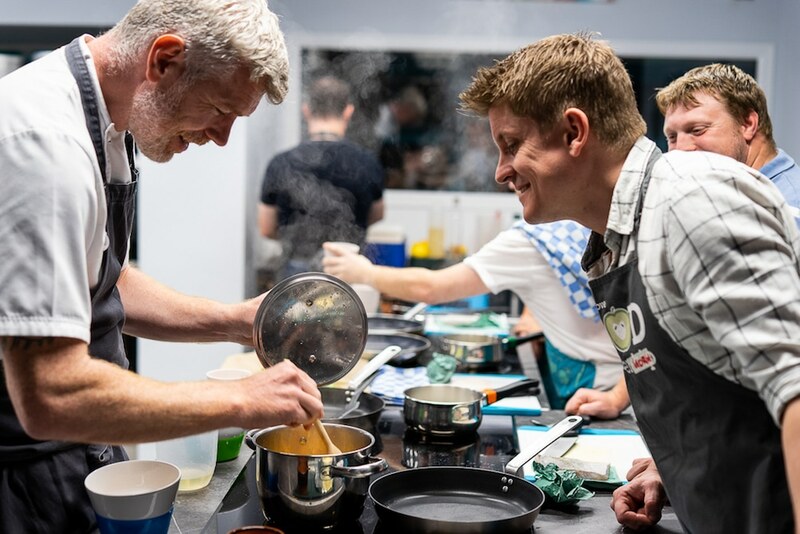 The Food Partnership has more than ten years’ experience of teaching cooking behind them, so they had all the right ingredients to hand to throw into the pot to make food and cooking inspirational and enjoyable for the wider community. 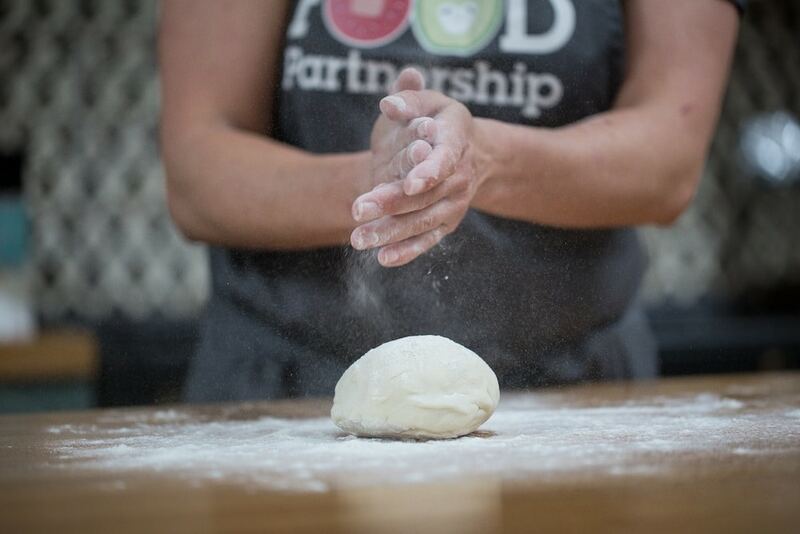 To find out more and to book classes, sign up to the BH Food Partnership newsletter. LOVE the classes here. Perfect present for foodie friends! Always such a laugh. Definitely put a class here on your ‘must do’ list.